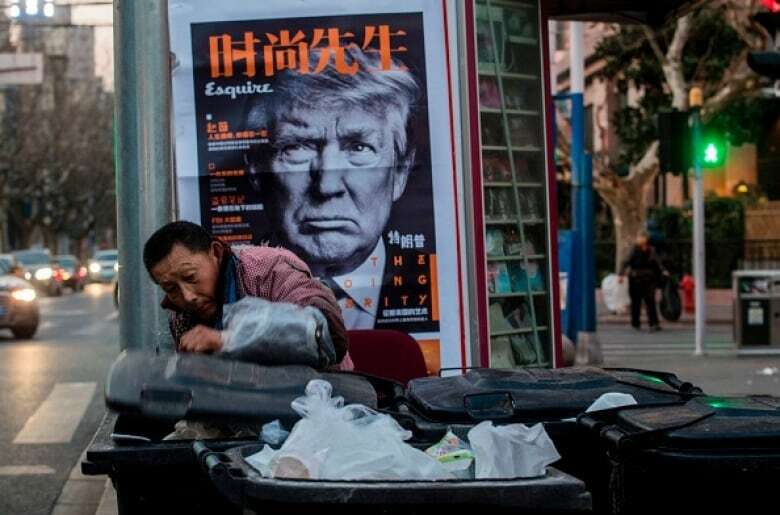 Adam Minter says the world has a real problem now that China won't take much of the low-grade recycling waste we've been sending it for years. Welcome to the second instalment of 'Wasted', a Day 6 series about garbage and what we do with it. In this week's episode, we're talking about recycling. We all feel better about our trash when we know some of it's being recycled — but you might not realize where it goes once the recycling truck pulls away. Today, most Canadian households have access to recycling. Companies across the country pick up, sort and process the recyclable waste. But there are materials that can't be recycled here in Canada. In some municipalities, up to 80 per cent of the recyclables collected are sold and shipped to China. China is the world's biggest importer of recycled materials, unloading the burden from countries like Canada and the United States. In 2016, Chinese manufacturers imported over 163 million metric tonnes of waste materials from developed countries, including the U.S., U.K., and Japan, making for an industry worth nearly $90 billion US. But as of January 1, 2018, China will no longer import much of the plastic and paper we have been shipping there for decades. In July 2017, China announced big changes banning imports of 24 categories of recyclables and solid waste by 2018. China's campaign against yang laji, or "foreign garbage," applies to plastics, textiles and mixed paper. 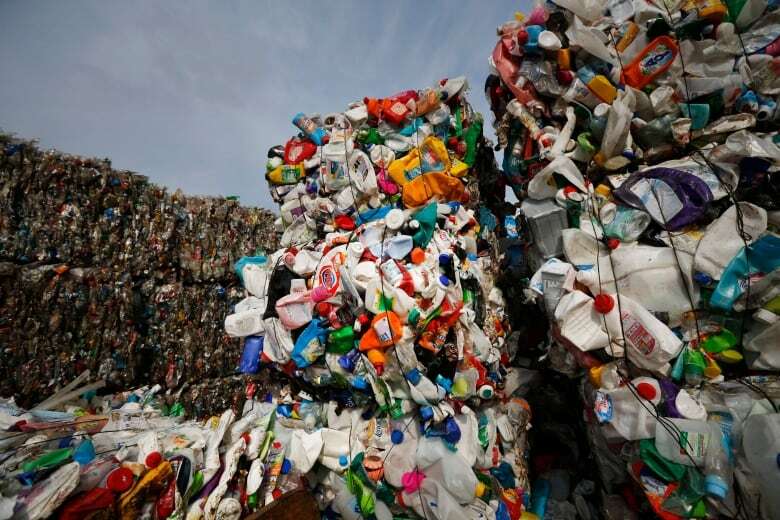 But given that China has long been the dominant market for recycled plastic in particular, there is global concern that much of the waste the country currently imports will have nowhere else to go. "It all comes down to something we don't necessarily associate with the environment and recycling, and it's manufacturing," explains Adam Minter, the author of Junkyard Planet: Travels in the Billion-Dollar Trash Trade. 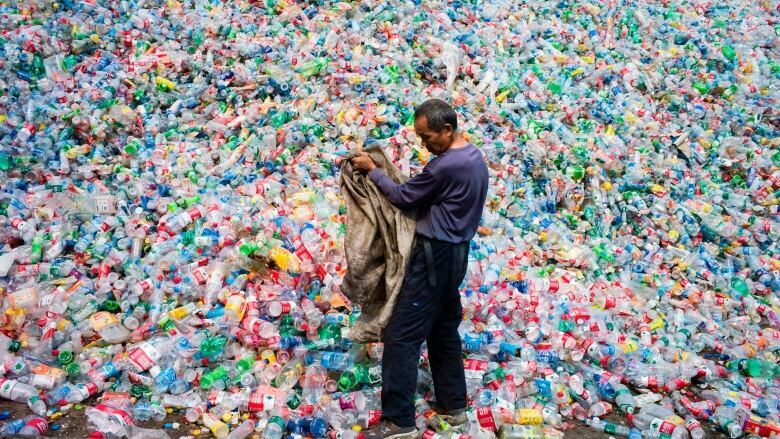 A columnist for Bloomberg View, Minter has travelled China documenting its recycling efforts. "China is the world's manufacturing hub," Minter says. "So as the world's biggest maker of things, China imports more raw materials of all kinds — oil to ore — and that includes recycling." Now, China is increasingly replacing all that imported recycling with material collected from its own growing internal market. "China is very keen to boost its domestic recycling industry," Minter says. "China's getting rich, and as you get rich, you throw away more stuff. As you throw away more stuff, you generate more for your own recycling. "So there is a feeling that the Chinese recycling companies would like to stop competing against [other countries'] recyclables ... and have [that market] to themselves." There's another reason China is looking to lower its intake of foreign trash, according to Minter. "This is an industry that has an image problem," he says. "I think we're all familiar with the images we've seen of folks not only in China, but in developing countries, going through recycled materials from the developed world — places like Canada." "Those are emotionally very provocative images. And they seem to have really set off some of the outrage, not only within the general public within China, but especially among China's top leadership." While the recycling industry in China is mainly privately held, the primary material industry — the firms that make use of the recycled plastics to manufacture new goods — is largely state-owned. As a result, some Chinese recyclers believe the ban is also an effort by the government to push out private players. In 2011, Minter interviewed a family business in China that makes a living by recycling Christmas lights sent to China from the West, turning the plastic into a range of products, including the soles of slippers. "They're representative of a larger group of private entrepreneurs who import things that are difficult to recycle in places like Canada," he says. "If they cannot get this material that they recycle — in this case, Christmas tree lights — into China, they're going to see their revenues go down, they're going to have to lay off employees, and ultimately they may have to shutter their business. "In general, you're going to see a lot of private players in China's recycling industry go under, simply because they're highly dependent on the import of scrap recyclables from the developed world — places like Canada." Since China is reliant on using recycled materials in manufacturing to cut costs, the import ban could also have wider implications for the environment if Chinese companies can no longer access the same amount of recyclables. "China still needs raw materials ... and there is still some recycling that will be able to be imported, but it's not going to be sufficient to meet their needs," Minter says. "So already we are seeing China turn to what are called 'virgin' materials." Recently, Minter spent time with paper recyclers in the city of Chengdu who are considering importing virgin pulp — a product that Canada exports — because they could not access recycled paper. "Not only will this raise their costs, but it will also incur a greater cost on the environment," he says. "One thing I always tell folks is that recycling is not good for the environment — it's a less-worse thing to do for the environment. It uses energy, it uses raw materials; but even so, the worst recycling is still better for the environment than the best virgin-materials processing." In the wake of China's decision, plastic and paper have been piling up in developed countries as they scramble to figure out what to do with that waste they used to ship to China. "In the near- to mid-term, it doesn't present many good choices," Minter says. "They can choose to landfill or incinerate — in a sense, that could be less expensive. [But] it's going to mean that you're going to see more virgin material used in the places that manufacture the things that we all buy in developed economies, and that's because China is going to need those raw materials." 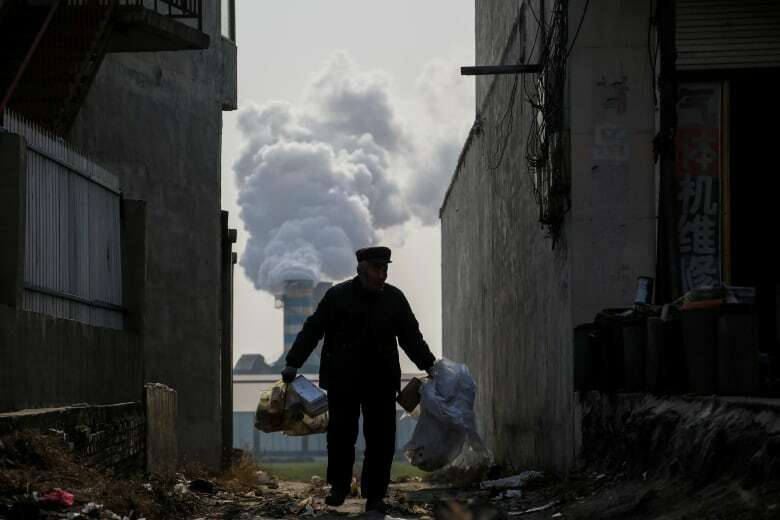 China and some environmental groups suggest the transition could be good for the environment over the long term, but Minter says that's unlikely. "It's hard to make long-term projections, but in the short- to medium-term, this recycling ban — and again, not all recycling is banned from China imports at this point — but in general, it's going to be very bad for the environment." If anything, the import ban may force developed countries to rethink how recycling fits into their wider waste-management plan. "I think it really is time for folks to ... get over this notion that by putting something in their bin, they've done something good," he says. "If you want to do something good for the environment, the best thing you can do is consume less." "At an individual level, if you are really concerned about what this ban is going to do, the best thing you can do is stop taking pride in how much stuff you put in your recycling bin. You should start taking pride in how little is in that bin and in your waste bin." To hear the full interview with writer Adam Minter, download our podcast or click the 'Listen' button at the top of this page. Click here for Part One of 'Wasted,' our series about trash — how we generate it, what happens to it, and how we can generally be better at dealing with garbage.